A direct retrofit for the original Gibson stopbar, the TP-6 delivers the ability to fine tune any string on your guitar in seconds. 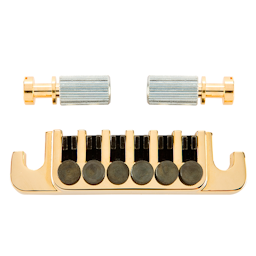 Micro-adjustment tuners and carefully crafted gears and saddles allows for smooth string movement and precise tuning ability. 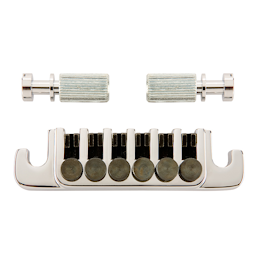 This OEM part is available in either Chrome or Gold finish.